Sports Journalist. Freelance Writer. Independent Publisher. Relentless Podcaster. Blue Jays Round Table: "Perceptions of Youth & Revisionist History"
Ari Shapiro's radio appearances on 105.9 FM The Region. Weekly episodes of the newest sports podcast series: "Bloody Arena of Ultimate Death." Heroes & Hosers is a brand new hockey podcast that covers the latest news and exciting developments from the National Hockey League. Featuring hosts Eric Dinkelmann (@MaximusNhl) and Ari Shapiro (@ari_shapiro), tune in for your daily dose of NHL insights, observations, and self-deprecating humour to remind you of the existential ... See More nature of the greatest game on earth. The latest sexual health and discovery podcast with your host Alicia Legge. Produced by Ari Shapiro and available exclusively at arishapiro.ca. Ari Shapiro Presents: Exclusive one-on-one candid interviews with former Blue Jays players. Archives of my appearances as a guest on various podcasts. Ari Shapiro's round tables covering the latest in professional sports news. MMA insight, deconstruction, and hot takes courtesy of Dan Shapiro and Eitan Shapiro. Hosted by Ari Shapiro. Ari Shapiro's exclusive daily interviews with media personalities across all walks of life. Ari Shapiro's appearances on Sportsnet 590 Toronto with Roger Lajoie. Ari Shapiro's guest appearances on Sportsnet 650 Vancouver with various hosts discussing the Toronto Blue Jays and the Toronto Maple Leafs. 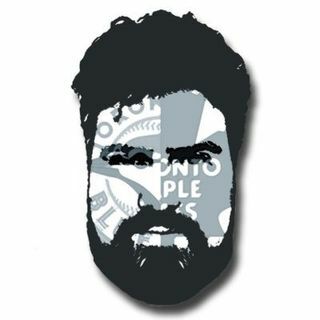 Teskey & Shapiro is the latest sports podcast featuring two popular Toronto journalists (Colin Teskey and Ari Shapiro) whose boundless passion for their local sports teams is only matched by their surrealistic love of all things Clint Eastwood. Ari Shapiro's appearances on TSN 1260 Edmonton with Dean Millard.